Managing a tropical fish tank is a lot of fun, and very rewarding. It can also be incredibly frustrating when your fish keep dying. You find a tank you like, put it all together, get it running and follow all the advice given to you by the guy at the pet store. It’s a beautiful moment when you add your first fish and watch them putter happily around their new home. It’s not so great the next morning when you find your fishy buddies lifeless and stuck to the filter intake. After letting out a blood-curdling wail and shouting, “I’m a murderer!” loud enough that your neighbors probably heard, you calm yourself down and resolve to try again. And, you get the same result. So, you try again, only to lose more fish. Before long you are convinced that the reason your fish keep dying is because your tank is haunted by the ghosts of all the fish you’ve killed. It is always heartbreaking when fish die, especially when you so badly want to do things the right way, and you don’t understand what went wrong. It is also normal to feel bad, but remember that the most important thing is to learn something, so that your future fish are better off. Whenever you lose a fish it is an opportunity to revisit your tank management and care practices, and that’s true whether you are newbie or an experienced fish keeper. 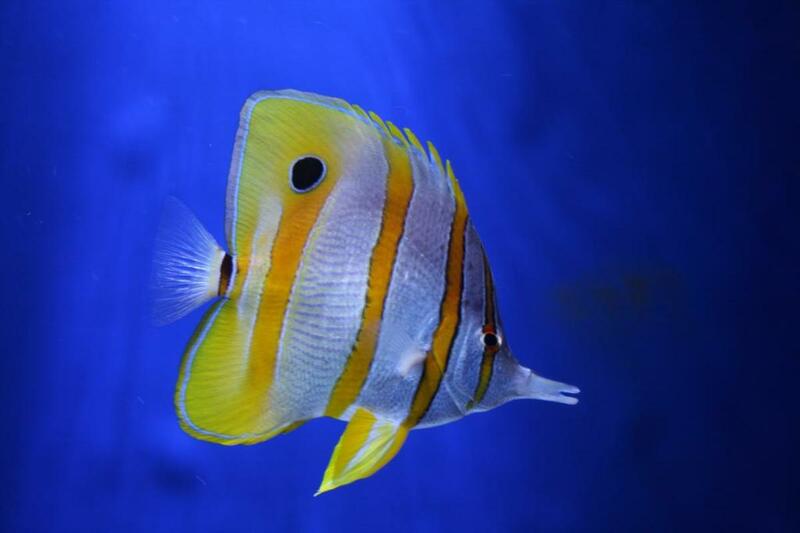 In this article you’ll read some of the common reasons tropical fish die too soon. It is intended to help you diagnose and correct the problems that are leading to the death of your fish, whether your tank is new or established. This is a long article, so here is a quick list of topics it will discuss. You can scroll down to learn more about each. Stress: Stress is the number-one killer of aquarium fish. Lack of Tank Preparation: Failure to cycle a new tank can cause problems. Inappropriate Aquarium Size: Choosing a tank that’s too small for its inhabitants will lead to trouble. Incompatible Tankmates: Not all fish get along. Poor Water Conditions: When the water goes bad, fish start to die. Overfeeding: This one is easy to get wrong, but so important to get right. Bad Tank Management Practices: Perform water changes, clean the gravel and manage algae it you want your fish to thrive. Disease: Fish get sick sometimes, but there are some things we can do to prevent it. Dumb Moves: We all make mistakes. Go easy on yourself! Issues Beyond Your Control: Sometimes it isn’t your fault that your fish died. I listed stress a first here. However, just about everything else in this article causes stress for your fish, in one way or another. It is the most common cause of death for aquarium fish, and managing stress is a key part of keeping your fish healthy. As you’ll see, there are many factors that impact the stress level for your aquarium inhabitants. But how can you know if your fish are stressed? Sometimes you can’t know, but there are some typical signs you can look out for. 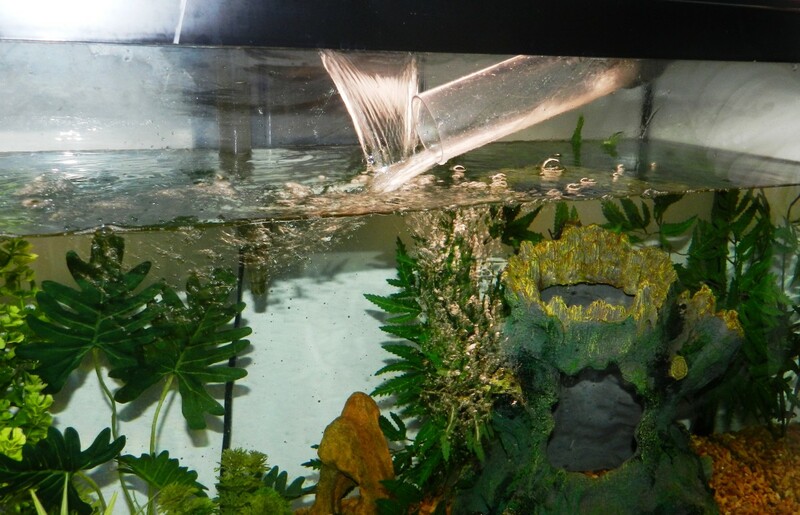 Glass surfing: This is when your fish repeatedly and sometimes frantically swims up and down the sides of the tank. Something is wrong, and the fish would go somewhere else if it could, but it is stuck in the tank. Maybe the tank is too small or too crowded, the water quality is bad, or there is another fish in the tank that makes it uneasy. Excessive hiding: Fish hide when they are scared or uncomfortable, or just want a little peace and quiet. That’s okay sometimes, but if you have a fish that is constantly hiding it may be because it is being bullied by another fish in the tank. This can be caused by territorial issues (poor stocking choices) or an undersized tank. 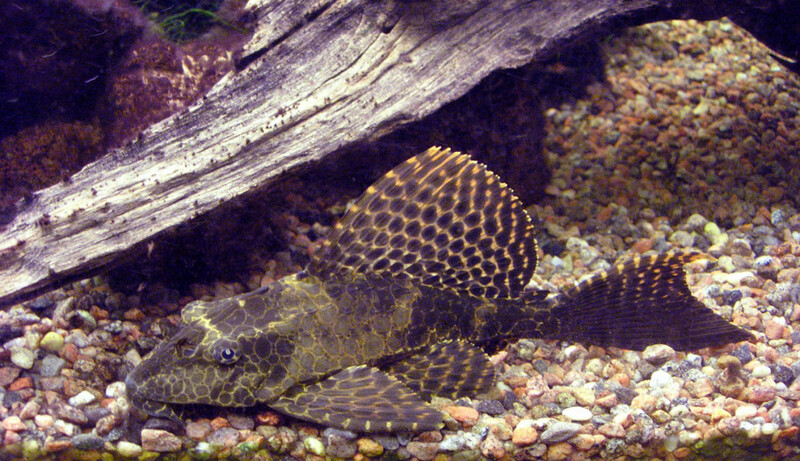 Be aware that is normal for certain types of fish to hide, such as catfish, loaches and plecos. This is why you need to research the behavior and care requirements for every fish you stock, so you know when something isn’t right. Weight loss: Obviously you aren’t going to physically weigh your fish, but you can visually tell if a fish is becoming emaciated. Sometimes this can happen even if they are eating. I’ve seen this caused by stress from bullying alone. Illness: Stress can often lead to illness. I'll cover this in more detail in another section, but if you notice your fish are constantly sick there is good chance they are stressed. Stress compromises their immune systems, and makes them more susceptible to disease. If a fish looks ill you need to try and figure out why ASAP, especially since it can potentially transmit disease to other tank inhabitants. If you see any of these signs in one or more of your fish it is time to find out why and make a change. The rest of this article can help you figure that out. The situation described in the beginning of this article, where all or many of your fish die, is common in new tanks that haven’t been prepared for fish the right way. In really bad situations the deaths could occur overnight, but typically they will happen over a few days or a week. This is often because a tank hasn’t been cycled correctly. Fish aren’t the only organisms that live in aquariums. A healthy tank also has a vibrant (microscopic) bacteria colony. They live all over the tank, but are most concentrated in the gravel and filter. These microorganisms help to break down the waste in the tank, and keep the water healthy. They have a symbiotic relationship with the fish. Without the fish (and their food), the bacteria colony declines. Without the bacteria, the water quickly becomes unsuitable for the fish. The two must be kept in balance for a healthy tank. In a brand-new tank there is no microbe colony yet. You have to “cycle” the tank to start to build it. There are several ways to do this, and you may have received instructions with your new tank. I suggest researching the nitrogen cycle and the different methods of cycling a new aquarium in order to decide how you’d like to proceed. Only once the tank is cycled should fish be added. Adding too many fish at a time can also cause problems as well, even in a properly cycled tank. The microbes need time to grow with the number of fish (and other inhabitants) in your tank. Therefore, if you intend to have 20 fish in your tank eventually, add four or five a week over several weeks and give the bacteria colony time to keep up. There are two ways to go about choosing an aquarium. The first is to decide on a tank based on the space you have, and then stock it with appropriate fish. The second is to decide which fish you want, research their requirements, and then get the right size tank for their needs. Unfortunately, what some novice aquarium owners do is a combination of both. They get a tank based on the space they have, and then buy inappropriate fish without understanding their needs. This can lead to big problems in your tank, and the loss of some beautiful fish. One problem is the often repeated “one-inch-of fish-per-gallon” rule. 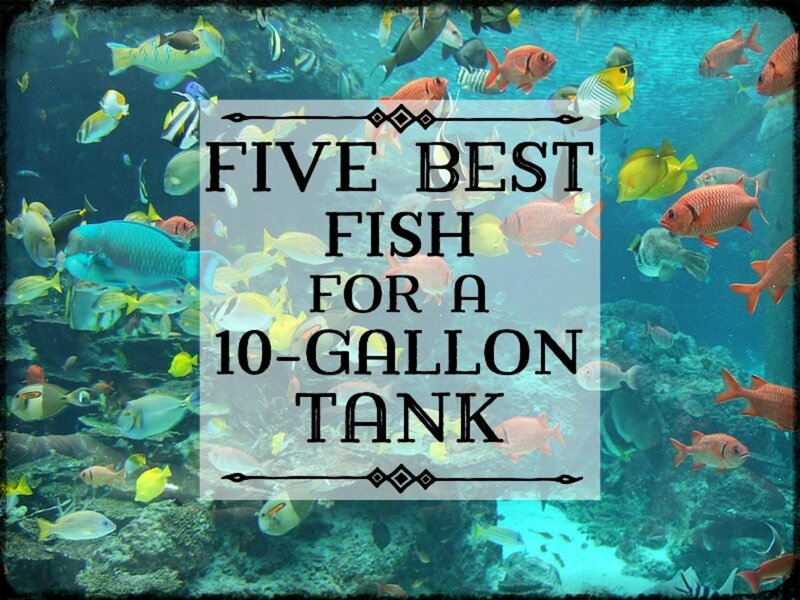 This means each gallon of water in your tank can safely house one inch of adult fish. So, for example, if you have a ten-gallon tank, you can have five two-inch fish. This works okay for little fish like neons and guppies, but it is soon clear that, as a rule, it really makes no sense. Would you keep a twenty-inch fish in a twenty-gallon tank? Would you keep one eight-inch and two one-inch fish in a ten-gallon? 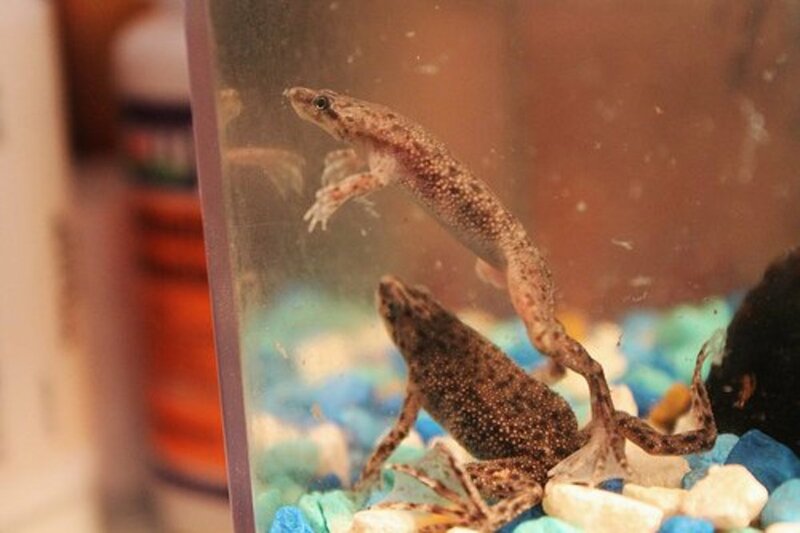 Would you keep a pair of fish each over two feet long in a 55-gallon tank? Whether you buy a tank first or decide on fish first, either way it is important to understand the needs of the fish you intend to stock. A tank that’s too small for its inhabitants can cause stress, promote disease, pollute quickly and lead to the premature death of your fish. This is a problem often seen when bettas are kept in tiny aquariums, but it can happen in any tank. Along with choosing the wrong size tank, choosing tankmates that don’t get along can be a big problem for beginners. Some fish are territorial and will chase any other fish in their claimed area. Some fish are aggressive and should only be kept with other fish that can defend themselves. Some fish are fine with other types of fish, but can potentially have issues with others of their own kind. This is why it is so important to research a fish before purchase, so you are sure they are a fit for your tank. Sometimes it can be hard to know, and it is worth it to take your time. The situation is made worse by pet stores and their employees who sometimes give erroneous advice on care needs and compatibility. I learned this lesson the hard way myself. Years ago I purchased a pair of juvenile green spotted puffers from a pet store that told me they were freshwater community fish. In actuality, I found out, they are ferocious little killing machines with complex care requirements. Thankfully I got them out of my pretty community tank before they demolished anyone. The positive of that experience was that I learned a lot about puffers. I re-homed one, and got a tank for the other where I kept him alone in a brackish setup. But it could have been much worse. So, was it the store’s fault for giving me bad info? Kind of, but really it was my own stupid fault. I should have done my homework before buying. In aquarium care we sometimes learn tough lessons. One of the reasons I write these articles is to help you avoid doing some of the dumb things I have done! Bad water equals dead fish. There are a lot of significant takeaways from this article, but that’s a big one. Keeping the water healthy for your aquarium inhabitants is one of the most important things you can do to avoid premature death for your fish. It is smart to have a testing kit so you know where you stand with your waster parameters. These kits typically measure ammonia, nitrates, nitrate and pH. I recommend the API Freshwater Master Kit as I’ve always found it really easy to use and more accurate than the strips. For a freshwater community tank you want to strive to keep your ammonia and nitrite levels at zero, and your nitrates below 20 ppm. It is smart to know the pH reading for your water source as well as your tank itself. While there are ways to naturally or chemically alter the pH in your tank, in some cases you are best off dealing with the hand you are dealt. Most tropical fish can adjust to different pH levels in a well-maintained tank, but you need to do your research to make sure you aren’t setting your new fish up for failure. However, all fish can suffer from swings up or down, so it is important to try to keep a steady pH level. Taking regular readings of your tank’s water parameters gives you a snapshot of what is happening in your aquarium. You don’t have to guess if something is off; you can see it clearly reflected in the water-quality readings. Then, you have to figure out why and what to do about it. The next two issues I’ll cover are feeding and tank management. Getting these two things right goes a long way toward keeping your tank healthy and your water parameters in good shape. Feed your fish once per day and as much as they will eat in a few minutes. Choose a quality flake food, or several and alternate them. 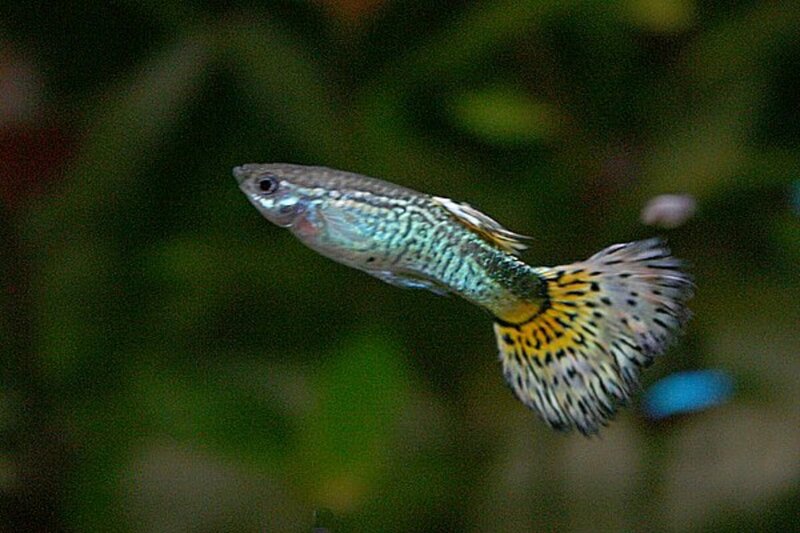 Also make sure to include sinking pellets for the scavengers, and algae wafers for plecos, otos and the like. Go easy on special foods and only offer them sparingly. I also like to program a fasting day every week, where the fish don’t eat at all, but that’s up to you. If you keep it simple and worry more about overfeeding than underfeeding you’ll be doing all you need to do to keep your fish healthy and well-nourished. Some fishkeepers like to include veggies, thawed frozen foods like blood worms, or freeze-dried foods. Just like you’ll research every fish you add to your tank, research anything you intend to feed and learn to do it properly. Overfeeding is one of the biggest problems in fish tanks, especially smaller ones. To put it simply and crudely, whatever goes into a fish must come out. The more you feed your fish, the more waste they produce. Uneaten food decays, fouling the water. Your bacteria colony can help, and live plants can help, but if things get out of control your fish will soon find themselves in a toxic situation. Overfeeding can also lead to algae outbreaks. Anything that makes a plant grow makes algae grow, and a nitrogen-rich food supply will turn your tank greener than an angry Bruce Banner. It can even increase the population of pest snails in your tank, who suddenly have all kinds of extra food in the form of both uneaten fish flakes and algae. Most aquariums really don’t require that much work, once you get them up and running correctly. Thirty minutes to an hour each month is really all the time you’ll spend on maintenance for a large tank, and a small 10-gallon aquarium might require a bit more effort. However, those few tasks you do need to perform every month are super important. They go a long way toward battling all of the issues discussed above, and if you neglect them your fish will suffer for it. Water changes: Remember the saying: The solution to pollution is dilution. By removing some of the old water and replacing it with fresh, clean water you are diluting any waste chemicals and helping your friendly bacteria colony. You never want to remove too much water, though. This could cause a bacteria die off and subsequent problems in your tank. 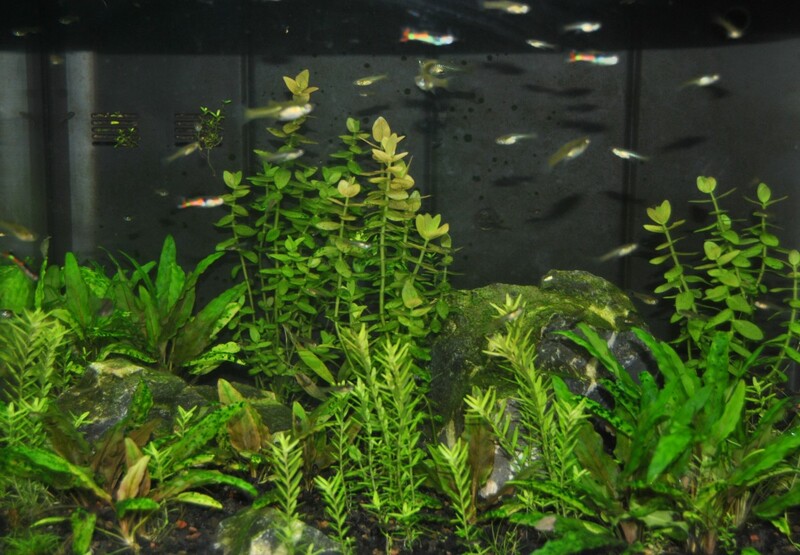 I shoot for about 30% monthly in planted aquariums and smaller changes of 20% twice a month in unplanted. Vacuum the gravel: Uneaten food, gunk and debris gets trapped in the gravel, and even your industrious little scavenger fish can't handle it all. That’s okay to some extent, because remember many of those microbes live in the gravel, but you do need to tidy up from time to time and do a little vacuuming. You can actually do this at the same time you change the water by using a gravel vac. I like the Aqueon Water Changer. I’ve used the big version that hooks up with your faucet for my big tank, but there is also a smaller ones for little tanks. There are other brands out there, but Aqueon is pretty affordable and does the job very well. Clean the algae: Even though you might have algae-eating fish or critters in your tank, they can’t do it all. Every now and then you need to roll up your sleeves to clean the glass and decorations. Excess algae aren’t just an eyesore; they provide food for pest snails and can potentially upset the balance in your aquarium. Don’t use chemicals to get rid of it. There are scrapers and scrubbers designed specifically to use in fish tanks. Some of them float, so they come to the surface if you drop them, and they are magnetic, so you don’t even need to stick your hand in the tank to clean the glass nice. Filter maintenance: Don’t forget to clean the gunk out of the filter once a month, but remember that beneficial bacteria live in there, so don’t ditch the inserts unless they are deteriorating or it is recommended by the manufacturer. I typically keep sponges and biological medium until they start to fall apart, and will replace chemical media like activated carbon monthly. Test the water: Even if things have been going well for a long time it is smart to test the water periodically. It can give you a heads up if things are starting to go south. Water changes are an important part of aquarium care that can't be overlooked. I get a lot of questions from people, betta owners in particular, telling me their fish is doing something weird and asking if it is sick. Look, fish are weird, man. They are tiny little creatures with primitive brains and they could do any number of ridiculous, unexpected things. That doesn’t necessarily mean they are sick. If you see your fish acting weird, don’t panic. But fish do get ill, and dirty water and stress are two big reasons. Sometimes a healthy fish can fight off a disease that would kill a stressed fish. Obviously this is why it is so important to watch for signs of stress in your fish, as outlined above. You’ll also want to get familiar with some of the common diseases and afflictions like ich, dropsy and fin rot. In some cases, as with ich (which is actually a parasitic infection) the disease is contracted from another infected fish. But, in most cases, following the practices outlined in this article such as avoiding overfeeding and stress and keeping the tank and water clean will help a lot with keeping your fish disease free. So, when should you start worrying that your fish is sick? If you notice changes to its appearance like ragged fins, bloating, inflammation of the gills or mouth, tiny white spots all over the body or anything else that clearly isn’t right, get on the web and search those symptoms and see if you can find out what’s going on. Physical indications could be trouble swimming upright (maintaining buoyancy), struggling to escape the pull of the filter or labored breathing. You’re going to do dumb things. We all do. You can’t beat yourself up over it. Learn, and move on. I once had a beautiful cichlid tank. My wife and I were going away for a week, so I left instructions with a family member to drop some pellets in a few times while we were gone. Smart! Before we left I cleaned the tank and changed the water. Smart again! But I forgot to turn the power to the tank back on when I was done with maintenance. This meant my fish spent a week in the dark, in the cold and with no filtration. Dumb! At least they got fed. Thankfully they all survived, but I really kicked myself for that one. We all do dumb things. The important thing is to learn from it and not do it again. You may make stocking errors, forget to perform a water change or accidentally overfeed without realizing it. Or, like me, you may accidentally force your fish to endure a week of technologically deprived hardship. Go easy on yourself. We are all human, and we all make mistakes. Finally, sometimes fish die for reasons that have nothing to do with you. Like all animals, aquarium fish can suffer from congenital issues that doom them from birth. Your vet can check a new puppy or kitten for these types of problems, but with fish there is simply no way to know. It is important to review your tank management practices when you lose a fish, and make changes where necessary. But also be open to the idea that you may have done nothing wrong, and that your fish was simply destined to live a shortened life. Because some types of fish are bred in large numbers you will sometimes find issues with the stock in a particular store. 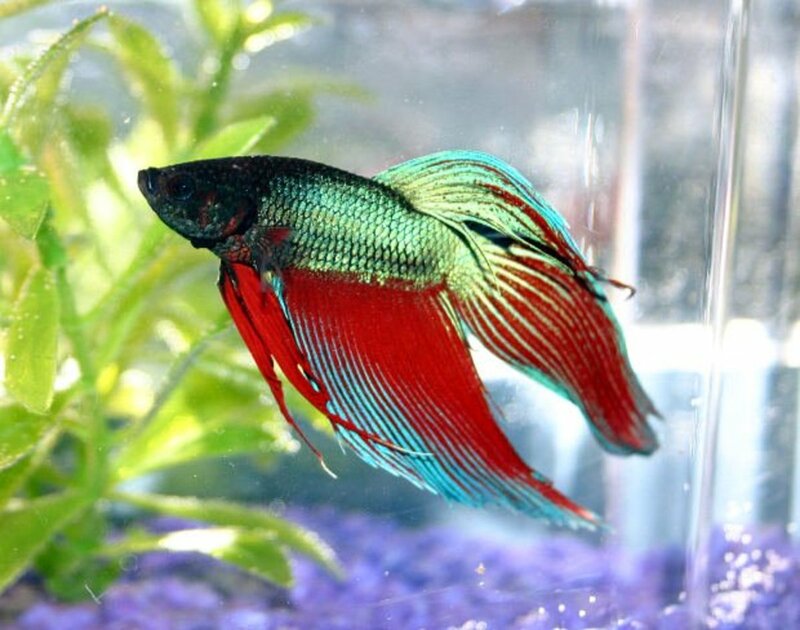 If you’ve bought a type of fish from a certain store several times and each has died, and you’ve checked everything listed in this article and you don’t see any problem, it is time to buy from another store. There could be issues with the supplier, or how the store handles the stock. All of that is out of your control. I hope this article was helpful for those who have lost fish and are trying to figure out why. I tried to cover all of the reasons aquarium fish die, but if you think I missed something let me know in the comments and I will try to help. If you really want to keep fish, don't give up. Learn from your mistakes, do the necessary research, and get better. I think we all go through that process where we feel like all we are doing is endangering fish, but once you get it right it is so worth it. Good luck with your fish tank! Are frozen bloodworms good or bad for tropical fish? Frozen bloodworms are an excellent food for aquarium fish, especially large fish, or juveniles in a growth phase. However, I think it is too easy for many aquarium owners to make mistakes with them and end up with bad results. Bloodworms are a rich food, and it is very easy to overfeed. The amount that comes in one of those little cubes is too much for most medium-sized aquariums. Accidentally overfeeding fish can lead to a host of fatal diseases, and with a rich food like this, the process seems accelerated. The little-frozen cubes should be defrosted before feeding. I just put them in a small cup of water and let them sit until they are fully defrosted. Never simply toss the frozen cube in the tank. The fish will pick at it until it is gone, but frozen food isn’t the best thing for them. Once the bloodworms are defrosted in the cup, it is important to rinse them and get rid of all the debris that came packed in the cube. This isn’t necessarily bad for the fish as it is just tiny pieces of bloodworm, but it is too small for them to eat. So, it ends up fouling the tank water. Used correctly, bloodworms are a great source of calories for tropical fish. Make mistakes, and you could end up with sick fish. Unless you are an experienced fish keeper, I advise only offering bloodworms as an occasional treat. @Evelyn - Can you explain exactly what you did to to clean the tank thoroughly? You always want to do partial water changes, and there is rarely a reason to remove the fish from the tank. If you cleaned everything completely your tank is going to have to cycle again. @Brandi - I generally wouldn't advise keeping that many goldfish in a 30g, but I guess some people do it successfully. You mentioned the water parameters are in good shape, which has to be tough with 4-5 growing goldfish in a 30g. Maybe you are just pushing the stocking a little too far? I'd probably try sticking with the thriving fish for a while, and measuring water parameters every day or every other day. If all is well, I'd add another fish and continue to take readings every day. At that point I'd expect to have to do partial water changes every day to keep the water clean, until the microbe colony in the tank catches up to the extra fish. I assume you are looking out of signs of disease in the tanks. Of course that could be another issue. I hope it works out. Good luck! Ive had an established goldfish tank for over a year and occasionally a fish dies off with no reason Google can explain. I had 1 feeder goldfish from the start that held its ground through my learning curve. He died two days ago. Overnight i witnessed him get black spots with his fins tucked and the next day he was belly up. Two days later i find my fancy goldfish floating. Neither showed any sign of illness prior. I have 3 other goldfish that I've had about 7mo and a koi that's been in there two months. They get fed once a day (usually) and 30-50% water change about every 2 to 3 wks with a filter change about monthly. My levels are always good when tested. 30 gallon tank and a 40-60 gallon filter. I just can't understand why one or two die and the others thrive. Ive never been able to keep the fancy n bug eyed goldfish alive in this tank. They eat mostly flakes and few koi pellets. @Debra - Sorry you lost your cories. Can you provide more info on your water conditions and setup? There is no way for me to guess what happened without more info. 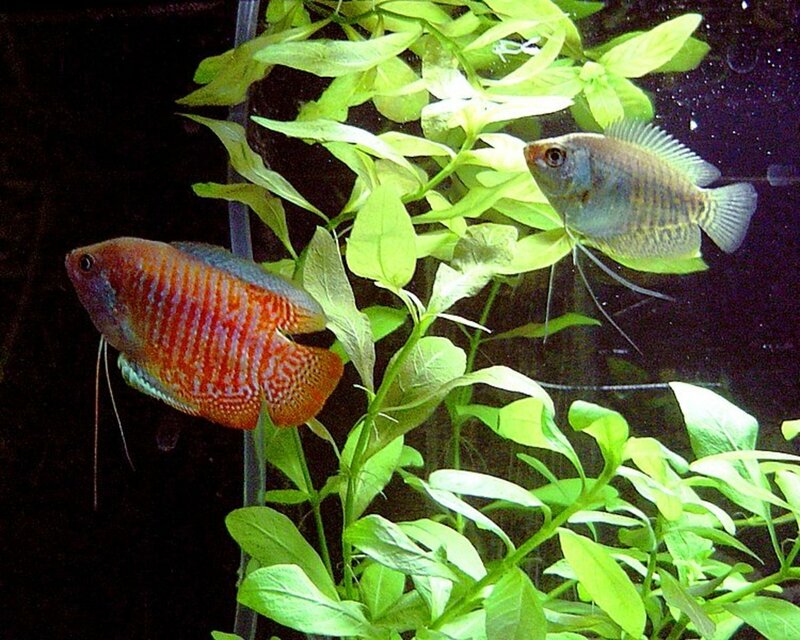 @Marc1759: Paradise gourami are aggressive fish. They can sometimes do okay with large, peaceful fish, but if yours is a terror you may want to consider keeping him alone in his own tank. Not sure how many hatchetfish you have, but they are best kept in schools or six or more. Keeping them in a school reduces the chance that predators, or in this case bully fish, will single out one fish to attack. 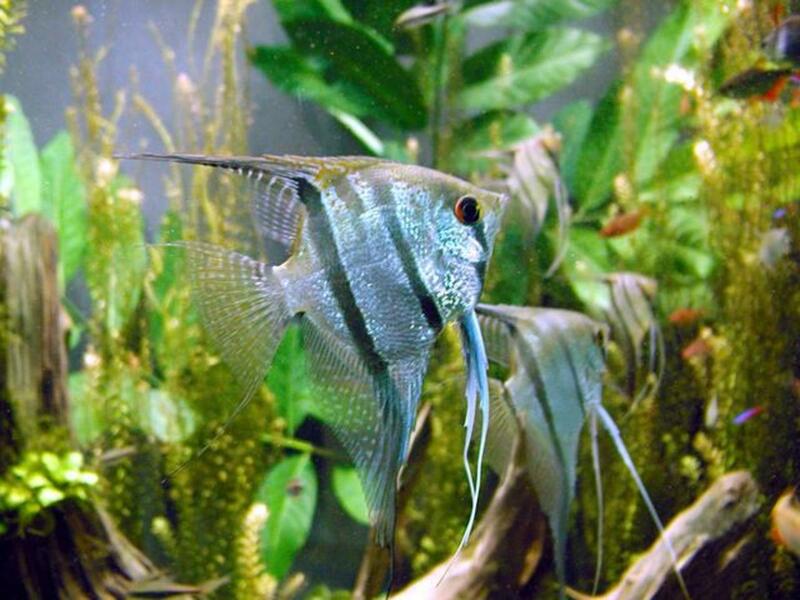 I have a blue paradise fish that is aggressive to my silver hatchetfish and geophagus surinamensis. It ha killed on hatchetfish and injured a second one. 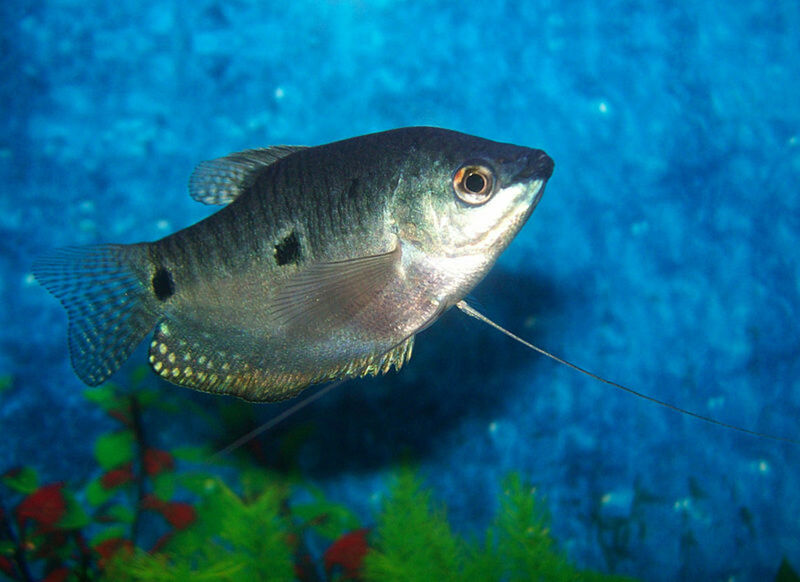 It has started to harass the geophagus. What can I do to alter the aggressive behavior? 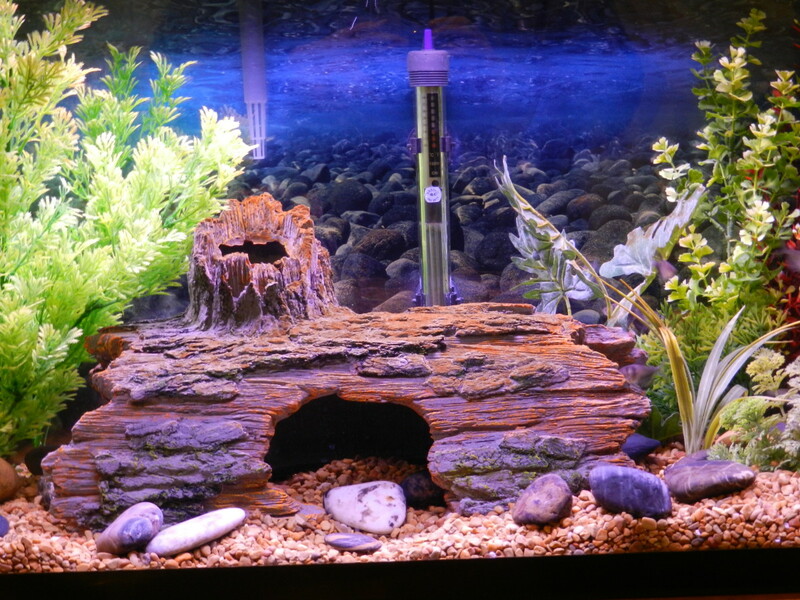 @Cathie - Ich are tough little parasites to get rid of once the whole tank is infected. Some aquatists raise temperatures even higher to further speed up the life cycle of the parasites. They are killed when they leave the fish, not when they are embedded. Some fish keepers use salt instead of chemicals to treat. The best advice I can give it to research as many treatment methods as you can and just keep trying. You also want to do what you can to otherwise reduce stress in your tank. Is there anything else I need to be doing?? I dont want to kill anymore fish. Hi Lauren - If your ammonia is high and you've ruled out overfeeding I would take it as indication that your tank is not handing the number of fish you have stocked. I would worry about that more than the pH. Your tank is not be fully cycled, and it sounds like your bacterial colonies aren't developed enough to manage the waste . It could also mean your tank is overstocked, but from your description it doesn't sound like it -- unless your barbs are a huge species. I would not add any more fish for now. I would change a small amount of water every other day or so and continue to test until the ammonia levels until they are at zero. Once they are at zero I would gradually add more fish until I reached my desired stocking level, continuing to test the parameters as I went. Do consider your overall stocking as well. It sounds like you have ten medium fish, ten small ones and a pleco in there. That doesn't seem overstocked for a 40-gallon to me, but it really depends on which fish you have, how big they will get and their overall temperaments. Please help! I have had my 40 gallon take for two years. I had my tank cycling for two months before adding fish. When I did, many of them died. I began using testing strips and kept it steady for a while with about 10 barbs, tetras and albino sucker fish. But recently, they have begun to slowly die. I have tested My water. My hardy, pH ( usually on the higher side but not acidic) and ammonia run high. I use 7.5 pH setter, a weekly and monthly chemicals and change water monthly. I have tried to research how to fix it but I can’t find a solid solution. Can you help? Your article was very interesting, thank you for the information. @ Amelia - Sorry about your betta. Unfortunately, sometimes we can do everything right and fish die anyway. 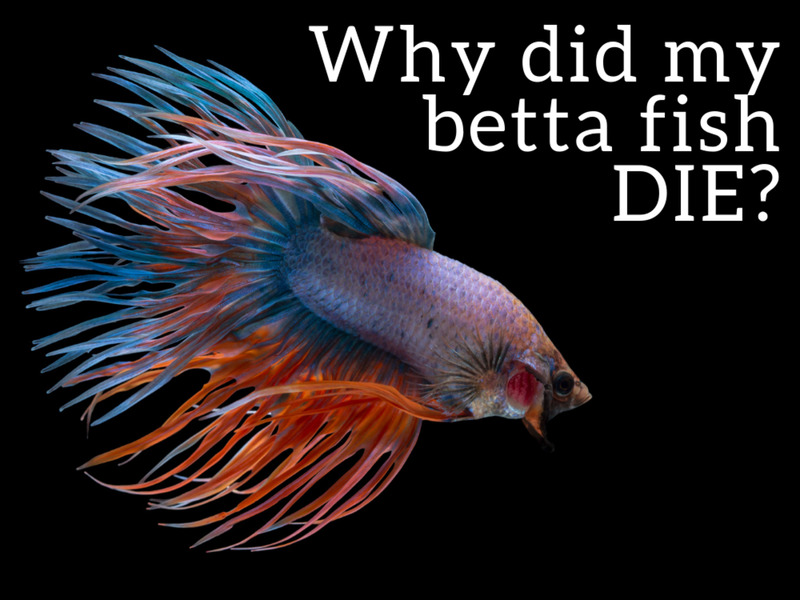 Bettas in particular have an uphill climb ahead of them from the start. I hope it goes better for you next time. Correction in my first comment I said 3 gallons it’s actually 5 gallons. Hi, I got a beta today. I have a 3 gallon tank with a 24/7 filter, heater, and thermometer. I followed safety procedures in transferring the fish, I used water conditioner, I tested the ph levels and made sure not to shock him. He dived less than 5 minutes after transferring him to the tank. I suspect bad care at the pet store, any suggestions or agreements? There are a number of things that could have caused the death of your fish, and it is impossible for me to guess exactly what happened without more information. I would start with taking a step back and concentrating on proper tank maintenance. It is a good idea to get an inexpensive water testing kit so you know what is happening with waste in your tank. Then you won't have to guess about the proper ratio of clean and "dirty" water. You can just look at the numbers. Learn to do water changes properly so you aren't shocking your fish with too much cold water or too much new water that will upset the microbe colony. Sometimes we learn lessons the hard way, but don't worry. We have all been there. Good luck in the future. Keep learning as much as you can about aquarium care. @zak - What kind of fish are they? Have you tested your water parameters? How big is your tank? @Suhail - Sadly, I think you are probably right. My hope is that starting a fish tank will make some of those people interesting in learning more about the hobby and doing it correctly. For those who decide its not for them, hopefully they decide to re-home their fish and move on to something else. I personally think that most of these conditions are caused by irresponsible owners who get an aquarium for the beautiful tropical fish and then forget all about it as the time goes by. Have seen many of them and called them out on it. Yeah, we had a snow storm knocked power out for a week and wiped my fish out as I was out looking for fire wood. Guess if you have a lot invested might as well invest in a backup generator. A generator for home use is a good idea anyway even if you don't have fish - better than digging up frozen firewood for a week or kerosene stoves..
That's a good one TSAD, and I should have thought of it. Maybe a bit more cataclysmic than the others but it can happen. After Hurricane Sandy a few years ago we were without power for days and I lost some beautiful fish. Horrible. We can call power failures #11. I kept and bred all kinds of tropical fish all my life and know what it's like dealing with all the problems you've covered here....and one you missed. That would be power failures. When a snow storm or thunder storm takes out electrical power in your town or home and is out for a day or more it doesn't take long before your tropical fish begin to suffer. In 2 hours the aerobic bacteria in your filters die off from lack of oxygen, the tank temperature soon drops to room temperature and a tank full of fish quickly depletes any oxygen dissolved in the water. Just a few hours like this and it's curtains for the fish, God forbid you are away and can't get home quickly. This is why I eventually switched from tropical fish to fancy goldfish. They can survive in still water as long as it doesn't freeze, don't need a heater and will last way longer without filtration. Also now there is a huge variety of beautiful goldfish to stock a tank and I think they are more entertaining than tropical fish although the nice ones aren't cheap. Certainly require less care and aren't likely to flush your investment (and "pets") down the toilet when the power goes out.